Why do you have a copycat Superman silhouette flying across your wall? That’s the likely question you’ll be asked when you install the Animu Causa Heroshelf anywhere at home. If you need a place to set down all the stuff in your pockets so you never lose them, though, this generic caped vigilante just might be the hero you need to answer that call. 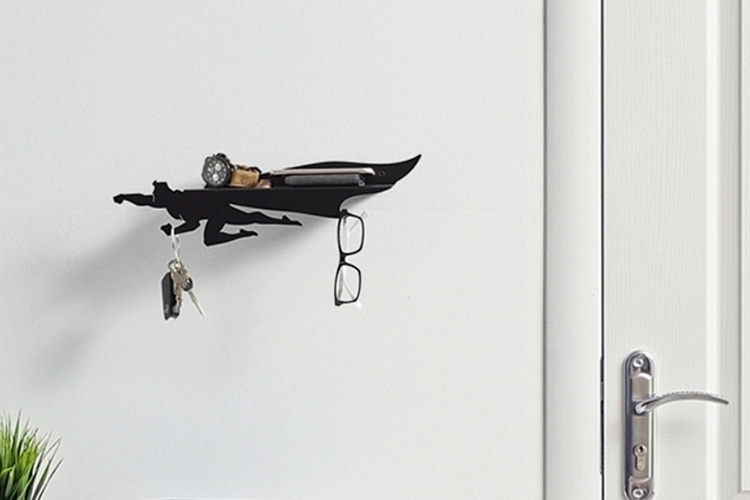 A wall shelf clad in the likeness of a superhero in flight, the storage item gives you a convenient place to clean out your pockets, with facilities for holding everything from your phone and wallet to your keys and multi-tools. 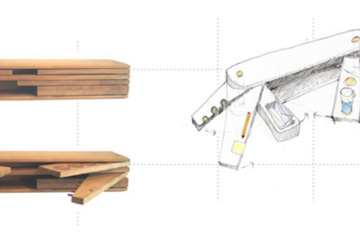 You know, like a valet tray that’s mounted on your wall. 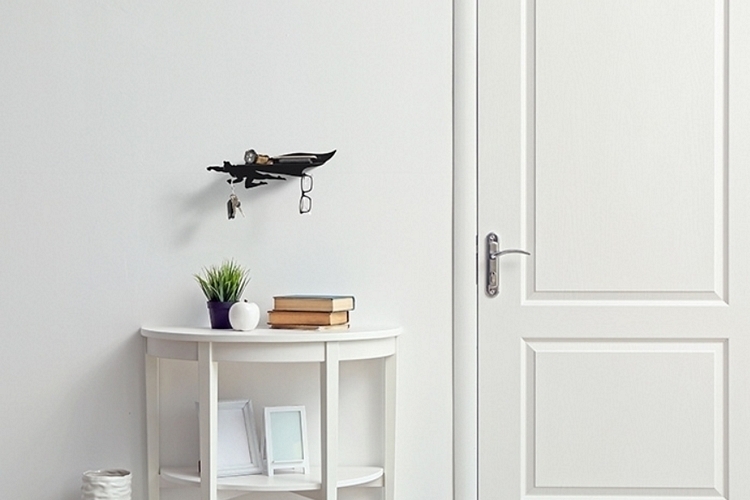 Whether you mount it right by the front door, the bedroom door, or right next to the closet, having it around ensures you’ll know exactly where to retrieve your pocket stash the next time the need to get your phone, wallet, or car key ever comes up. 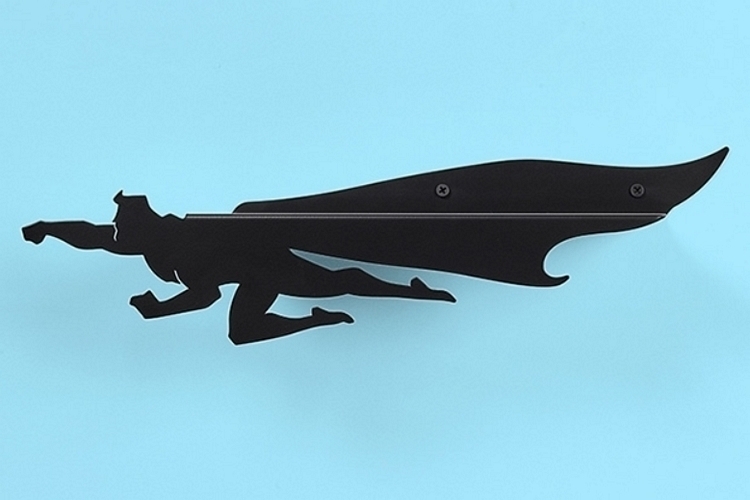 The Animi Causa Heroshelf depicts the likeness of a caped superhero in the middle of flight, with one arm outstretched and the other at shoulder level, similar to the iconic depiction of that DC character who hasn’t a decent movie in years. 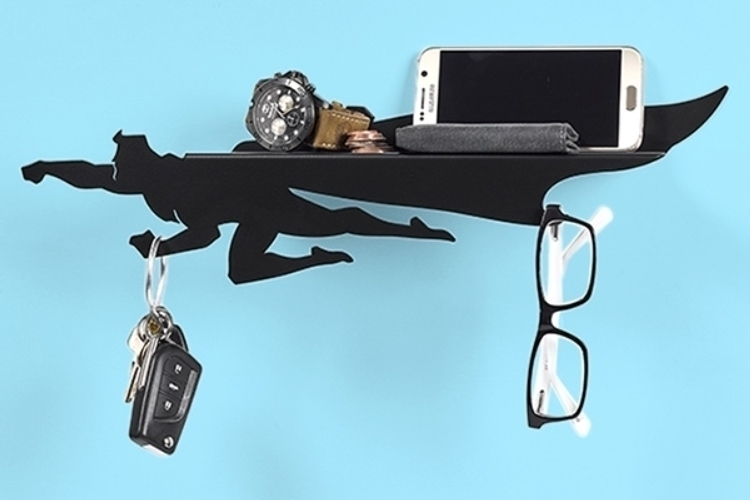 Only the top section of the shelf is affixed to the wall, by the way, so the superhero at the bottom is flying a few inches away from the vertical surface. That design should make the flying silhouette look a lot more vibrant, making this a great decorative piece for dorm rooms, bedrooms, and man caves, not to mention your cubicle at the office. 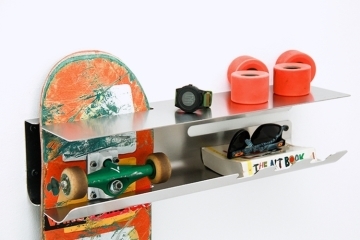 A small shelf surface offers enough room to set down your wallet, phone, folding knife, and other small items you carry daily in your pockets, while the superhero’s various limbs (arms and legs) serve as hooks for hanging objects such as keys, lanyards, and glasses. Heck even the tip of the cape and the tip of the superhero’s hair can be used as hooks, so there are plenty of spots here to hang anything that won’t fit on the shelf surface. The Animi Causa Heroshelf is made from a ferromagnetic metal, so you can also use it to stick magnets just like your fridge door. That way, you can use it to hold bills, notes, and various reminders in a place that you know you’ll visit at least once a day. And, yes, they included a small magnet that you can use with the shelf out of the box. 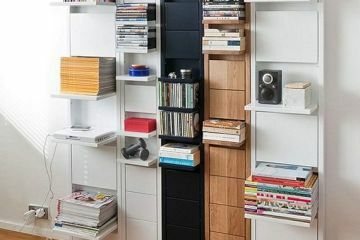 Since shelves for pocket drops like these come in contact with plenty of objects day in and day out, there’s a good chance the paint job will get scratched sooner than later, especially with items like keys, pocket knives, and multi-tools involved. 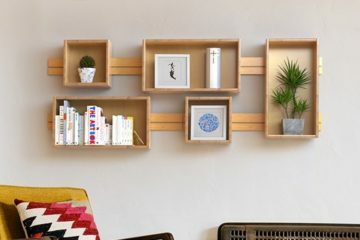 Fortunately, this shelf is finished with an electrostatic coat, which means the paint will adhere extremely well and isn’t likely to suffer scratches from regular use, so expect your superhero silhouette to retain its shadowy hue over many years of use. Dimensions are 16.7 x 4.9 x 3.8 inches. Want one? 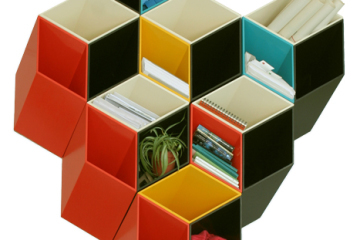 The Animi Causa Heroshelf is priced at $49.